Users often run into this issue. Windows security prompt pops up every 15 minutes or so repeatedly trying to connect to SharePoint. 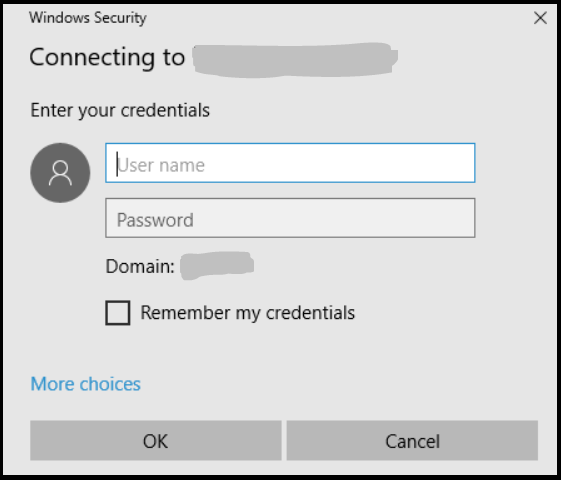 No matter you enter credentials or cancel, user will be prompted for credentials again and again. SharePoint may not be the culprit all the time. Whether user have updated their domain password recently? If yes, then check Credential manager to see if it holds reference to old password. 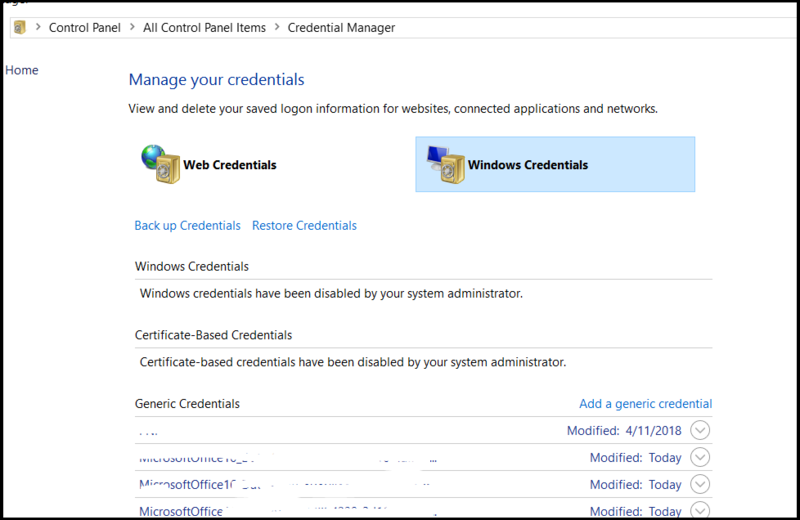 Type ‘Credential manager’ in start menu search. If you find a reference, Select the drop down -> Remove. Check to see if user have mapped any SharePoint libraries or sites as a Network location. Usually people map something and forget about it. Deleting the mapped library/site leaves the connection broken and can cause this issue. Check for these broken connections and delete them. Check to see if there are any Calendar lists from SharePoint that are added to Outlook client. Same as a mapped drive, if the calendar is deleted or user loses access to it, Outlook client tries to get the information repeatedly and prompt for credentials. Check for any broken calendar references and delete them. I am sure there may be hundred other things which can cause this error, but these are the 3 things which i usually get started with.